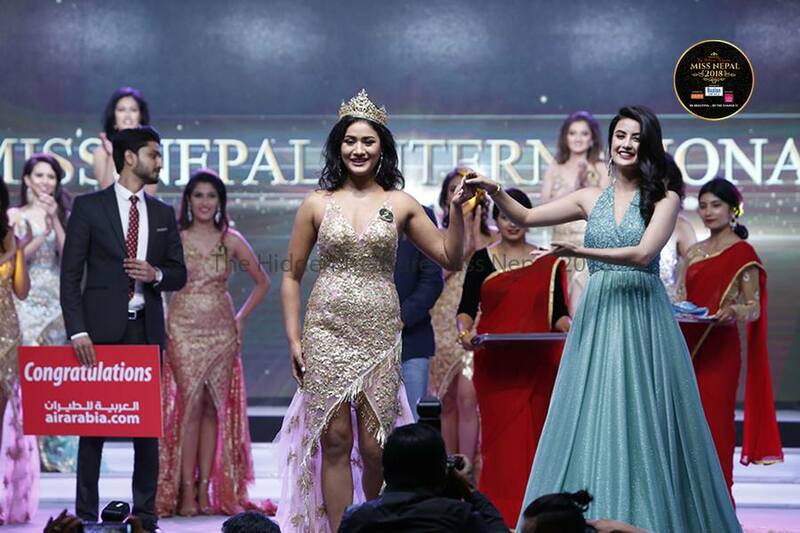 Earlier this week on Wednesday (April 11), Nepal got its new beauty queens during the coronation night of The Hidden Treasure Miss Nepal 2018. 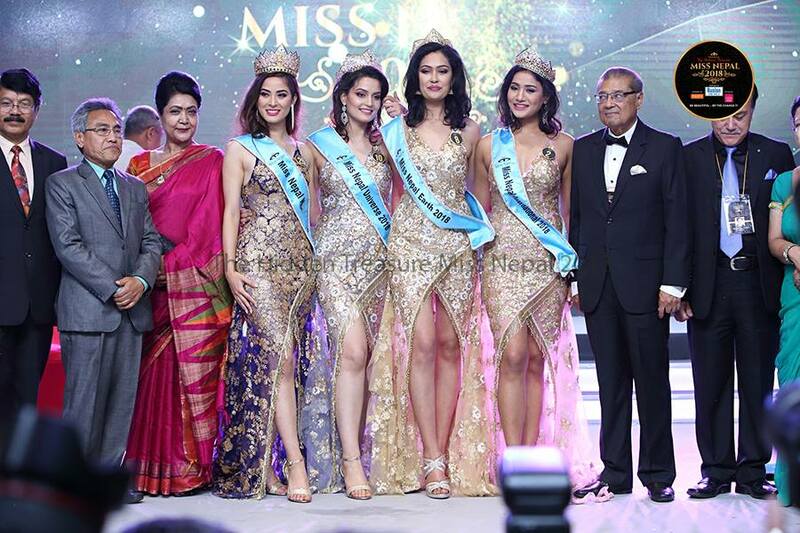 Four of the five reigning Miss Nepal title holders passed their crowns to their successors in the end of the 3-hour event. Sahara Basnet, who was crowned Miss Nepal Asia Pacific International last year, still holds the title as her successor was not announced in the event. The four new beauty queens will be representing Nepal in the ‘Big 4’ Pageants – the most prominent international beauty pageants in the world – later this year. Here they are. 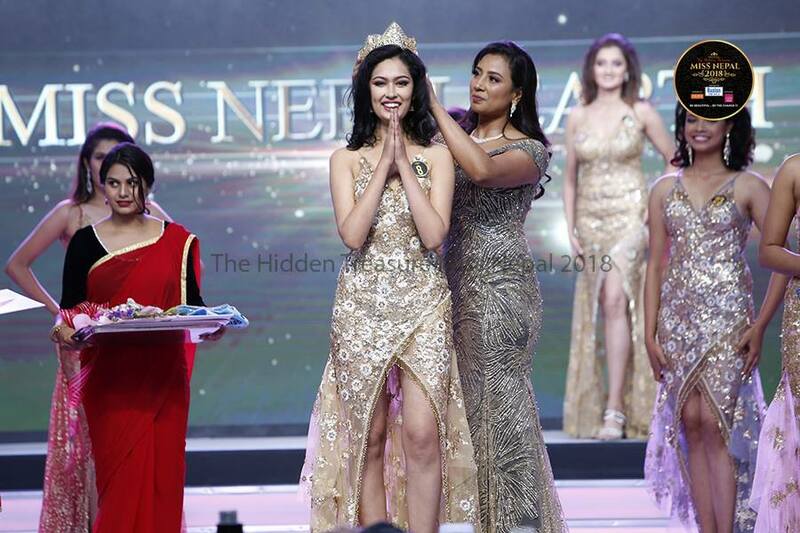 Shrinkhala Khatiwada succeeded Nikita Chandak to become the new Miss Nepal World this year. An architect by profession, the 22-year-old is from Hetauda. Last 24 hours has been SURREAL! Still processing the fact that I have won the Miss Nepal World 2018! Universe has been kind to me. Thank you! To everyone who thought that I was capable and deserving… The moment before the show started, a feeling engulfed me. I strongly felt that my life was about to change on the other end of the night. I couldn't hold my tears back and strangely, I couldn't explain why. It wasn't fear or nervousness, not anxiety either. It was faith that my entire life had lead me to that moment and I just BELIEVED! And here I am, 24 hrs since the crowning, heavier with new responsibilities however, lighter at heart. I am deeply humbled by all your warm wishes. You guys have been amazing! I want to thank each and every one of you from the bottom of my heart. I promise to always respect what the crown stands for and what it's representing. I'll make you guys proud, our country proud… I promise you! 💕 Also thankful for the subtitles, Yamaha Miss Fascino and Livon miss beautiful hair. 😊 All these pictures were randomly found on social media, credits to all the amazing photographers! Shrinkhala will be representing Nepal in the 67th edition of the Miss World pageant which is scheduled to take place in December this year. The reigning Miss World Manushi Chillar of India will pass her crown to her successor during the coronation night of the pageant. Manita Devkota is the first Miss Nepal Universe to have been chosen in a competition; as Nagma Shrestha – who represented Nepal in the Miss Universe pageant last year for the first time – was handpicked by THT. She is 22, and she hails from Gorkha. Manita will be competing in the 67th edition of the Miss Universe pageant this year, where Miss Universe 2017 Demi-Leigh Nel-Peters of South Africa would crown her successor. Priya Sigdel is the 2018 Miss Nepal Earth. She was crowned by Rojina Shrestha. The 23-year-old from Kathmandu is a Development Studies graduate who has been actively working for women empowerment and menstrual hygiene management. She has represented Nepal at various summits and conventions including Global Changemaker Youth Summit 2017 in Zurich and Bangladesh-Nepal Youth Convention 2017 in Dhaka. Priya will representing Nepal in Miss Earth 2018, which will be the 18th edition of the global pageant. Karen Ibasco of the Philippines will crown her successor this year. Niti Shah crowned Ronali Amatya as her succesor. Having represented Nepal in a global pageant already, she is the most experienced title holder this year. She had competed in Miss Eco International 2017 in Egypt. The 22-year-old model had won the Model Hunt Nepal competition in 2016. The business graduate from Kathmandu is also the Goodwill Ambassador of Lions Club Himchuli. Ronali will be representing Nepal in the 58th edition of Miss International, where Kevin Lilliana of Indonesia will crown her successor. All of these four title holders will go through various more training and workshops before they fly to take part in the international pageants later this year. 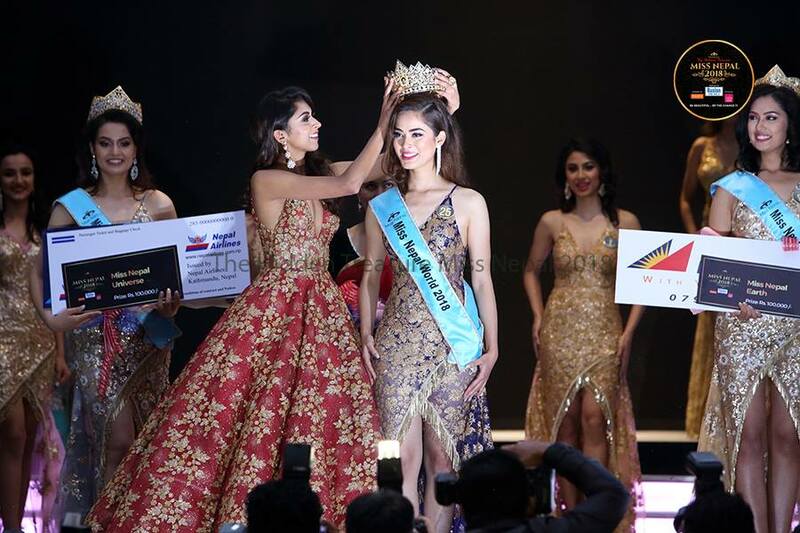 The closest a Nepali delegate has reached to any of the ‘Big 4’ crowns was in 2012 when Nagma Shrestha placed in Top 8 in Miss Earth in the Philippines. We hope the new queens would be able to take Nepal a step closer or even get Nepal its first major crown this year.